Search engine optimization is often viewed as a particular series of acts, but the reality is that SEO consists of hundreds of different tactics – some may work for website A, while others will be more beneficial to website B. Fortunately, there are some universal aspects of SEO that can be applied to virtually any website or blog to ensure its short, medium and long-term success. While nothing remains permanent in the world of SEO, several tactics do remain viable for long periods of time and will enhance your brand’s clout in search engines. If you wish to boost your blog’s power and rise to the top of search results, then continue reading to find out about some great tips to accomplish just that. Does your blog currently have links to direct users to older or previous entries? Are long blog posts all on one page, or broken up into sections? Pagination can be a key factor in how search engines view your blog and how users interact with it. If you have multiple pages listed at the bottom of your blog, for instance (“1,2,3,4,5…”) that users can click on, it will make it far more likely that they explore the content in question. In addition to this, pinging tools and search engine crawlers will be far more likely to index all pages when proper pagination is used – do not be caught with one single link to view all of your previous blog entries (as is default with WordPress installations). Your site is summarized by search engines via the use of crawlers, which determine where it best fits into select search rankings. If you hammer away at the same topic or use the same keywords over and over, then chances are that you will not reach a broad enough audience to build serious SEO clout. 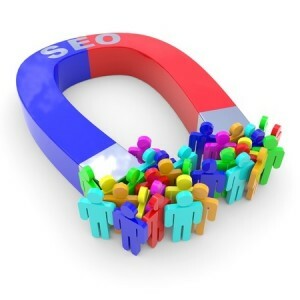 This can also negatively impact SEO performance if done improperly. What’s a good solution? Be sure to not only vary your article titles and title tags between various articles, but also use different words within the same article. This way, you can reach as many search results as possible without restricting yourself to one result and also avoiding penalties from search engines. Social signals now play a huge part in search engine optimization, so it is vital that any upstart blog implement as many of these social sharing options as possible. Bloggers can quickly add sharing buttons for sites such as Facebook, Twitter, LinkedIn, Pinterest and many more – it is absolutely free to do this, so there is no excuse to do otherwise. As your readers peruse your posts and find interesting content, they will then be able to direct share this content to their walls and get the word out about your brand. As your social signals increase, you will also notice that this has a generally positive effect on your ranking in select search results and with pinging tools. With more and more users now moving away from traditional search and into social media for inquiries, this is a smart strategy for long-term success.